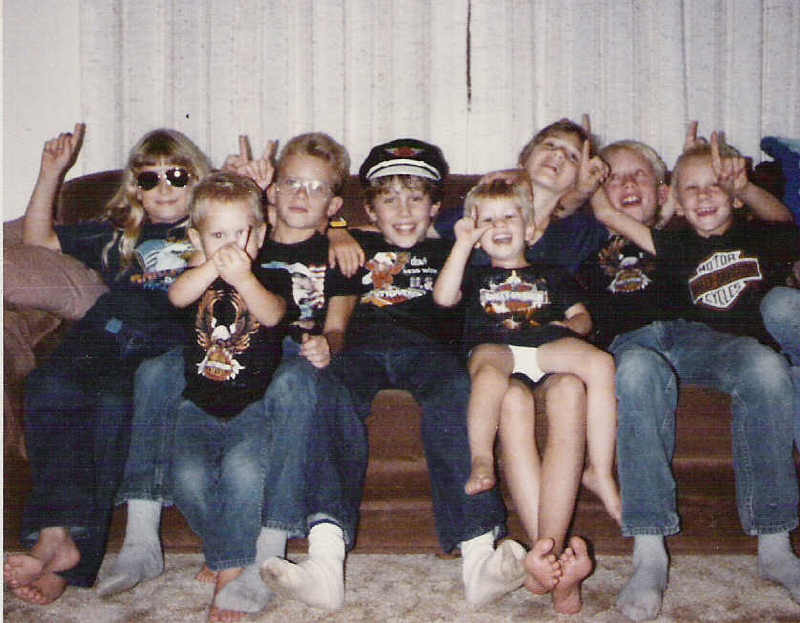 Come, ride along with us as we travel down memory lane. After riding for 40 + years, we sold our motorcycle several years ago and are in the process of retiring. Ivan will be 76 and I will be 70 in 2002. We started riding in the late 1960's. 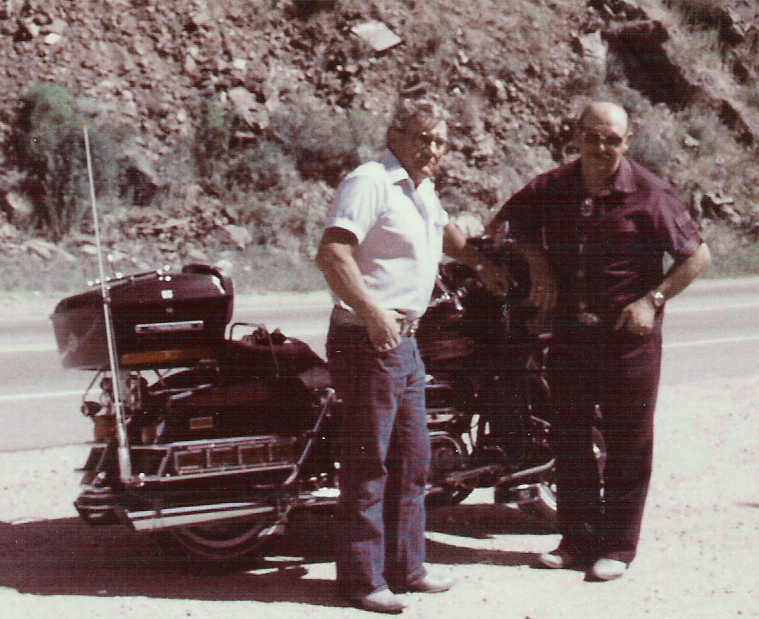 Our first trip was an overnight visit to Estes Park and then on to Colorado Springs for several days with Robert & Bonnie Palser on a 1965 bike we bought from a Doctor in Ogallala for about $3,500.00. We thought we were really going in style on that big HOG! Nearly every summer after that found us on the open road every chance we got. Our first big trip was probably our first visit to Sturgis, South Dakota. We went with a group of relatives and friends. I took the younger boys along in the car so that was a nice family outing. We stayed at the Piedmont resort between Rapid City and Sturgis. The kids enjoyed the pool and riding with their dad on the back of his motorcycle in turns. Our oldest daughter, Carole was in Texas that summer but Greg, Nita and her boyfriend (& later husband) Mark joined us there. Through the years we rode our motorcycle from the first warm days of spring until the "frost was on the pumpkin" in the late fall. We would ride to Ogallala or Julesburg to eat in the evenings many times. One ride that was memorable was the one around Lake McConaughey late one summer evening. We had enjoyed dinner in Ogallala and then decided to take the "long way home"....around the north side of the lake via Lewellen. We were enjoying the beautiful moonlight, cool breezes and the always enjoyable sound of our Harley pipes when Ivan looked down and saw that the fuel gauge was on empty. He knew we would probably run out of gas soon. We quickly decided to go into Lewellen to see if we could find some gas. Since it was late we were fortunate to find that his old army buddy, Swede Santero was the night cop on duty. He kindly helped us get some gas at a closed filling station that he had a key to and so we continued our moonlight ride home to Big Springs. 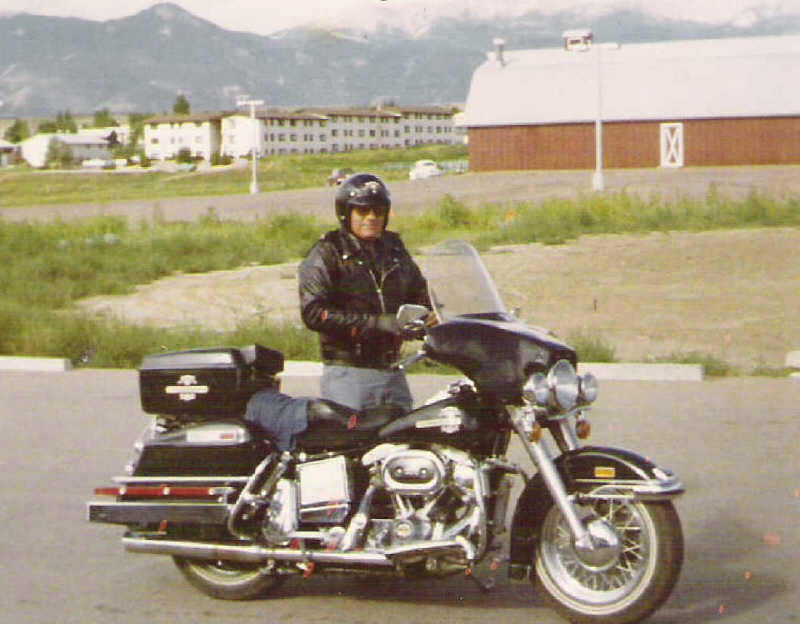 One of the most memorable trip was the summer we rode to Sturgis and then on to Yellowstone National Park with a group of other friends and relatives. It was the year of the terrible fires in the park. However, the fires had only begun to burn when we rode through the area. One of the younger members of our group developed alternator problems when we were in the vicinity of Lewis Lake. It took several hours of troubleshooting before they finally got it running again. It was getting late in the day by then so the view of the Grand Tetons near Jackson Hole was really a beautiful sight. We had lagged behind the other bikers and as we came over a hill we saw that the group ahead of us had been stopped by a trooper. I poked Ivan in the ribs and begged him to stop but he said "no way....I'm going to sail around them like I don't even know them". I guess he didn't want to get a ticket. When we all got back together they said they had only received a warning. 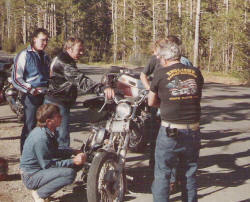 The next day we rode to Rock Springs and said good-bye to the rest of the riders as we had to turn our bike toward home. We were expecting company later that week and needed to get home. Coming back east on I-80 we encountered quite a thunder storm with lightning off in the distance. We didn't experience much rain though, for which we were thankful! After spending the night in Laramie we made it home to Big Springs the next day. Probably the scariest ride we ever had was on a trip to Grand Island for Husker Days with Rod & Linda Renquist. We didn't realize that a terrible summer storm was coming up and by the time we got ready to head back to the motel late in the afternoon it had begun to lightning, thunder, and rain like mad! It was making me very nervous to have the lightning cracking around us and although we were on the interstate it was getting quite dangerous. The big semis would drench us with a water as they passed. I was very glad for that ride to end! The most uncomfortable ride was one summer when we went to North Loup, Nebraska for "Popcorn Days" with Ivan's cousin Ed and his wife Patty. The ride home was great until we left Grand Island after eating dinner. By the time we got to North Platte, Patty & I were about to have a heat stroke. It was 106 degrees when we stopped at the Mall to cool off. Patty & I told the guys that we would never ride when it that hot again.! The coldest ride we ever experienced was one October. 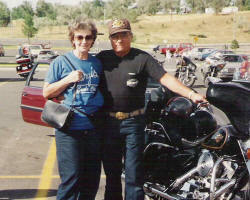 We had ridden to Estes Park with Jack & Sue Haselbach. On the way up Thompson Canyon we listened to a Husker game on the radio. It was such a beautiful day for a motorcycle trip. When we got up the next morning and looked out we saw 4" of snow on our bikes. It was soooo cold, and actually got much colder the further down we rode. We stopped in Loveland and again at Crook to warm up. When we checked the temperature at Crook, it was 34 degrees above zero. Our feet were about frozen by the time we got home. Also riding in the freezing slush was not very enjoyable. On several of our trips to Sturgis we were privileged to have Carole and her husband Keith and Greg and his son AJ with us. 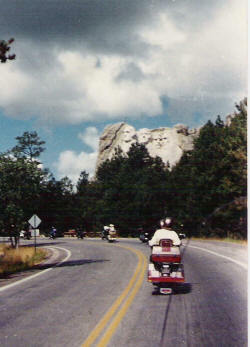 What great fun....riding through the canyons, enjoying the sights and sounds of thousands of bikers all having a great vacation! 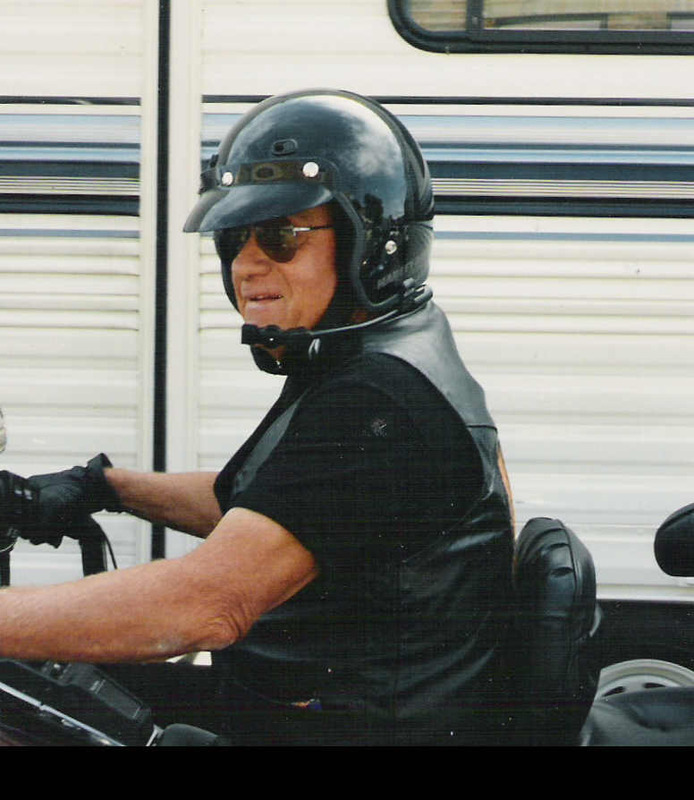 (Ivan always referred to the noise as "Harley Thunder") We especially enjoyed riding with our cousins Ed & Patty, Larry & Linda, Leonard & Dena, Rodney & Gina and her parents, Jack & Sue. Also Patty's son Scott and wife Nancy were with us on a number of our trips. 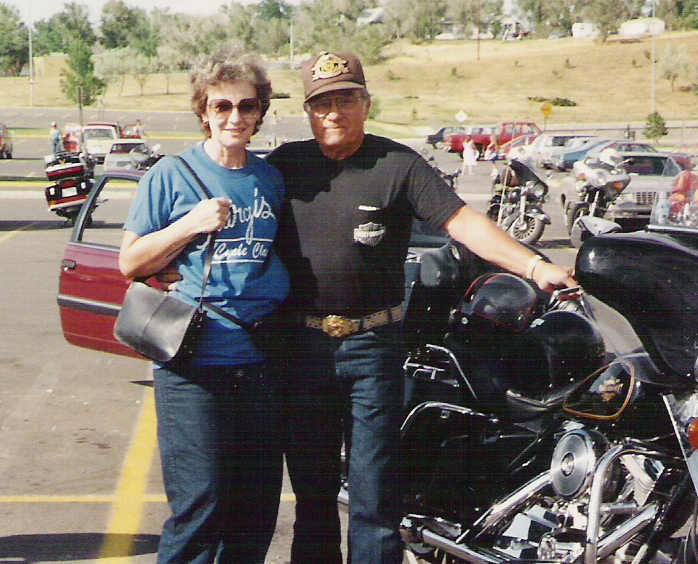 As we enter our sunset years, how thankful we are to the Lord for His wonderful protection over us as we rode and enjoyed our different motorcycles through the years. Now we are happy to read our motorcycle magazines and check out all the Harley Davidson web sites on the internet.